Classic 90s full-motion video puzzle game The 7th Guest is headed to the iPhone. 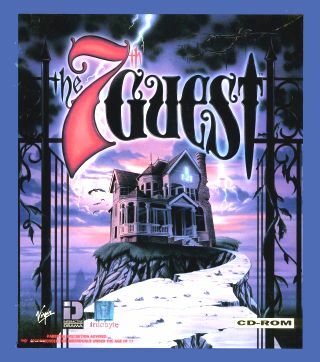 The 7th Guest, which was the first PC game released on CD-ROM when it hit in 1993, will sell for $3.99 when it hits in early December.. That's quite a price drop compared to the $79.95 it sold for when it originally came out. The game had players wandering through a mansion as an amnesiac solving puzzles to unravel the mysteries of the strange home. At the time of its release Bill Gates called the game the new standard in interactive entertainment. "I'm excited to bring this ground-breaking classic title to new platforms and a new generation of gamers," said Rob Landeros, co-founder of Trilobyte and Trilobyte Games, LLC and art director/designer on all projects. "The port has been seamless, and our team has optimized the code for a full-range of mobile devices. Props to Trilobyte co-founder Graeme Devine for supporting our efforts and working with us to make this happen," he added. Devine, who went on from Trilobyte and his work on 7th Guest and 11th Hour to work on games like Doom 3 and Halo Wars, moved over to Apple in 2009. Devine said via Twitter he is not involved with the iPhone version of the game. Landeros said that he hopes to use the money made from 7th Guest to fund an iPhone remake of the game's sequel The 11th Hour. Trilobyte Games is also developing mobile platform version of Psych, Let's Do Diddley, POV and a new version of TLC.